Our Services - Loveridge Hunt & Co. Audit & Attestation Services with Loveridge Hunt & Co.
organizations and housing authorities. We are sensitive to client and investor reporting needs and deadlines. Since the low-income housing tax credit was enacted as part of the Tax Reform Act of 1986, Loveridge Hunt & Co. has helped developers work through the tax, regulatory, investment and compliance issues necessary to successfully complete their projects. Building on more than 40 years of experience with affordable housing, we have helped our clients develop and syndicate 1,000s of projects using low-income housing tax credits and other financing vehicles. The Firm currently serves more than 400 syndicated partnerships that serve the affordable housing industry. These partnerships utilize HUD, Rural Development, state and local government resources, as well as participating in the federal Section 42 tax credit program. We provide annual audit and tax return preparation services for virtually all of the aforementioned for-profit entities. The Firm currently serves approximately 40 nonprofit organizations, of which substantially all are associated with affordable housing. Ten of the nonprofit organizations develop affordable housing (and several among them also provide ancillary services). One of our nonprofit organizations is unaffiliated with affordable housing; it serves a consortium of churches. 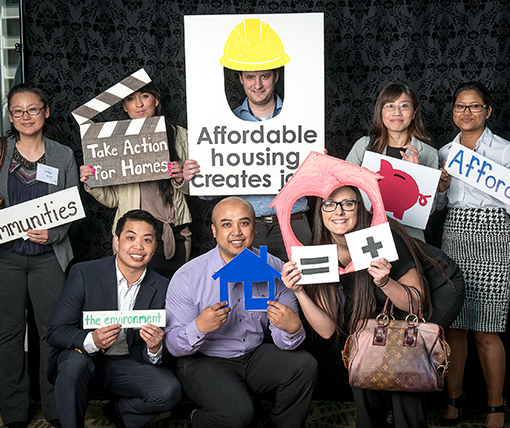 Another is an advocacy group for the local affordable housing community. Approximately 30 of our nonprofit organization clients are single-asset entities that own and operate HUD-regulated multifamily housing. The Firm compiles financial information for a number of conventional multifamily and Rural Development entities. The Firm performs agreed upon procedures (“AUPs”), the majority of which are related to HUD’s REAC filing, Rural Development requirements. In addition we perform AUPs which address debt service coverage ratios, breakeven calculations, and initial tenant certifications for LIHTC projects. The Firm currently audits several Housing Authorities located in Washington and Oregon. The Firm typically performs approximately 40-50 cost certifications per annum. The Firm audits several “upper tier” funds, and we provide tax return preparation services for approximately 75 “upper tier funds”, all of which are associated with affordable housing.